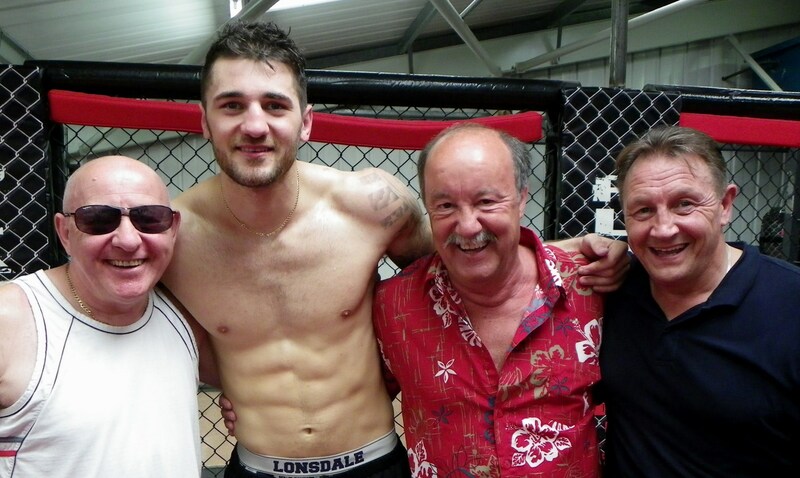 The Racing Horse are great friends and supporters of Team Cleverly. We checked in on them to monitor the preparations for 17th August 2013 WBO Light-heavyweight title fight at the Motorpoint Arena in Cardiff. Nathan Cleverly (26) makes his sixth defence against the unbeaten Russian but Florida based Sergey Kovalev (30) and it is a match that has genuine world-wide interest! In the US the fight has been given the big build-up by his influential promoters Main Events and the NBC TV network. His credentials are beyond reproach. 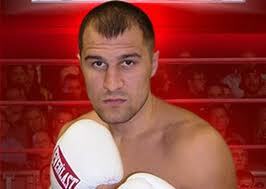 A former Russian amateur champion and World Military gold medallist, Kovalev was victorious in 193 of his 215 amateur bouts. Since shedding his head-guard and singlet five years ago, he has gone unbeaten in 22 as a professional and his heavy handed punching has resulted in 19 stoppage wins with 18 victims falling inside three rounds. Last January he battered Spain’s ex-WBA champion Gabriel Campillo in three rounds. He is now the mandatory challenger with the IBF and rated in the top eight by the other three major sanctioning bodies plus all leading boxing mags. Even the critics have conceded the boxer is a genuine world-class operator. Cleverly told us: "It is my biggest test to date, he wants my world title, is undefeated and coming with hype from America, this is a real fight. Bringing that American exposure is a real bonus. He will come looking for a knockout but I will be ready and beating the highly-rated Russian will almost certainly pave the way towards the super-fights! We talked to the champion on how he will fight this bout and he admitted this will be more at long range, he said: "Just because this will be fought at distance it does not mean I will not be positive especially when the situation warrants it!" Cleverly has built a reputation as a 'speed thinker.' Because he is multidimensional with a vast range of skills he is one of the few boxers who can revert/change a plan at any given time. His last two fights illustrated his mathematical acumen in that he measures both discomfort and the attributes of his opponents before dissecting them! His ability and flexibility to box close up and personal, fight from medium or long range, hitting shots to the head or body, plus his athletic prowess, work-rate and stamina reserves will prove too much for the Russian once past the sixth or seventh round. It is this armoury that frightens/unnerves and stops/prevents the likes of Bernard Hopkins and Carl Froch from an engagement! Different types of sparring deemed necessary! The Racing Horse can confirm preparations are going really well as we watched 12 rounds of sparring with Arfan Iqbal and Jermaine Asare. Our thanks to those two boxers who shared their thoughts with us. 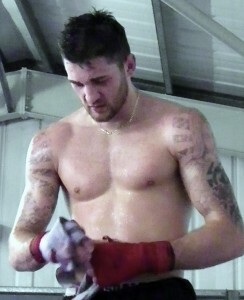 Earlier in the week Cleverly had used the skills of Ovill McKenzie, Frank Buglioni and Tom Baker. These different types of boxers have stood the boxer in good stead. Cleverly said, “Kovalev can do a lot of everything, so in sparring we’ve got guys who can do everything and that benefits me. You can’t keep everything the same, you need to take yourself out of the comfort zone and that’s what it was about with sparring Buglioni and Baker who are top, hungry prospects. Buglioni has a slightly similar stance to Kovalev and he’s obviously powerful too. Baker is really skillful, uses his range brilliantly and has a great jab.” Cleverly has never been knocked down and prior to the Krasniqi fight tested his chin, by taking shots from Dereck Chisora and Tyson Fury. Vince Cleverly happy with Warren agenda! 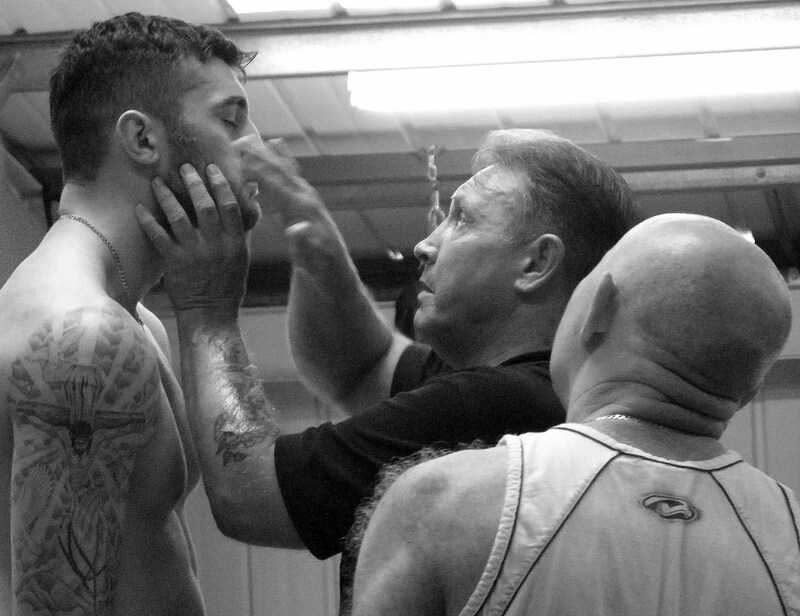 Father and trainer Vince Cleverly believes there is still loads in the tank and Nathan has come on again since the Robin Krasniqi fight. He reminded us that his boxer is still young and stressed the agenda set by promoter Frank Warren is perfect and, he is not in the same rush as some of those in the boxing forums less cerebral. 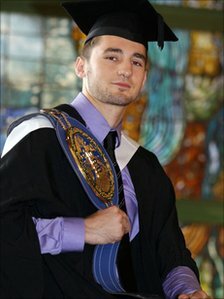 The Welsh public are still to recognise/appreciate the talent in their midst, it is worth remembering that no other Welshman in history has gone to America to defend a world title and retained it. Where is the acknowledgement? Even if one accepts Joe Calzaghe is Welsh (born in Hammersmith, London) and son of Enzo (born in Sardinia, Italy) - he never defended a title on American soil, no other Welsh boxer in history has! Joanne Bromfield MICHT MIFST VTCT IIHHT is a highly experienced well-qualified sports therapist and the architect of United Therapists. She is following in her fathers’ professional footsteps. Jimmy Bromfield is a well-respected professional boxing coach and trained numerous British Champions whilst Joanne qualified as an assistant boxing coach with the WABA. Working with the association as a sports therapists and assistant coach she spent considerable time with the head coaches treating the boxers pre and post training and into boxing tournaments. Sports Therapies are not just for the professionals. It is also for general sports injury, prevention and rehabilitation of injury, including repetitive strain injury. For top athletes and sports men and women, sport injury prevention is crucial to ensure top performance. Sports therapists have been part of sport for many years now. Working alongside coaches and medical professionals, sports therapists can help amateur and professionals sports men and women achieve their best performance. Please contact United Therapists whatever your requirements. Age is not a barrier - they welcome retired women and men. The Racing Horse highly recommends their services for rehabilitation, re-alignment after an injury or for general wellbeing and life enjoyment. Our personal thanks to Joanne and father Jimmy Bromfield for facilitating our step into the professional boxing scene.